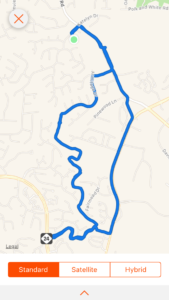 With all the Idiots off running up Morrow Mountain, the Pax was small but willing to go along with YHCs desire for a slow easy flat first run back home. It definitely felt good after traveling for nearly 2 days. I thought it might be a solo run but we added to our number one by one. Thanks for the pleasant 5 to 6 mile run this morning in the USA. You take for granted being able to safely run without worrying that a knife wielding woman might force you to marry her. COT. Prayers for Guinness as he is with grieving family.